The Australian Caravan Club was launched in September 2006, when some forward thinking caravanners perceived a real need for a truly representative national organisation to meet the wide variety of interests and needs of caravanners and camper-trailer owners. Our objectives are clearly set out in our Constitution. Existing caravan clubs and Associations do an excellent job running social and rallying activities for caravanners, but do not appear to be a single body able, or wishing, to speak up on National issues. We see ourselves, in part, as a lobby group - not as an organisation set up to attack the RV industry – but rather to work with existing organisations for the benefit of all caravanners and camper-trailer owners. The Australian Caravan Club was set up using the model of the UK's ‘The Caravan Club’ - an organisation with huge benefits for members with a current membership of more than 300,000. We have appointed several dynamic committees to look after Policy, Budget Camping, Technical and Advisory, Marketing and our annual National Muster and AGM. These committees are doing sterling work – the Budget Camping Committee is responsible for liaison and lobbying of Government bodies and other authorities to see that facilities for caravanners are not only maintained but improved. Our Marketing Committee has successfully organised our participation in a number of major caravan shows and has developed a healthy relationship with trade advertisers and sponsors to enhance our activities and provide more benefits for members. It was never intended that the ACC would be in competition with existing caravan and camper-trailer clubs - we believe there is room for both types of organisations and many caravanners hold dual memberships including our Chairman and another Director. Over twenty local branches have been formed in all states. Our branches organise social weekends called ‘Musters’ and similar activities including the occasional ‘tag-along’ tour. Unlike other clubs that are State-based incorporated bodies, the ACC is an Australian Registered Company that reflects our truly National identity. Our club is managed by a Board of six Directors elected by our club members at our Annual Meeting. All directors are dedicated volunteers who receive no remuneration for their work. Although our registered office is in Queensland, our club is a National body with members from every State plus the ACT and the Northern Territory. A copy of the Constitution may be downloaded from this website. The document is in Adobe pdf format and an appropriate reader may be obtained free from Adobe by clicking the above button. A Board of directors controls and manages the affairs of the Club according to the Constitution. It consists of upto six directors elected by the membership. A number of committees have been established to assist the board in specific areas. Details of the Club's Directors are listed at the end of this page. The Club publishes a full colour magazine, The Nomad, containing a wealth of topics including among other things, specialist articles, technical advice, news on advocacy, news from our branches and committees, contact lists and our upcoming events calendar. The Nomad is posted to members each quarter. Social activities are organised through locality based branches and we now have many branches operating in all states with more on the way. To find and contact a branch in your area, just refer to the Contact Us section of this web site. Our social activities are called musters and each of our branches organises upwards of six musters per year. Branch musters are always an enjoyable occasion for all attendees and typically each muster attracts 20 to 30 caravans. The Branch musters are generally held over a weekend at a location within easy reach of the Branch's members. Each year a national muster is held to coincide with the Club’s Annual General Meeting. The national muster is a much larger gathering held over a number of days in a central location. Our first national muster was held at Byron Bay in 2007 and covered by several caravanning magazines including The Caravan & Motorhome, the 2008 muster was held in Casino, NSW, the 2009 in Mildura, VIC, the 2010 in Maryborough, QLD, the 2011 National Muster in Bingara in NSW, the 2012 National Muster in Mallacoota, VIC, the 2013 National Muster in Mudgee, NSW, the 2014 National Muster in Beaudesert, QLD and the 2016 National Muster was held in Shepparton, VIC. The National Muster is somewhat more formal in structure and as well as the AGM itself includes seminars conducted by various experts on caravan related topics. The social side is not forgotten, evening Happy Hours are well attended and the Boules competition, now an annual fixture are keenly fought. Details of upcoming musters are listed in our magazine, The Nomad and in an on-line events calendar. The Club maintains a dynamic website containing a large amount of content including, latest news, events calendar, tips and tools, a membership directory and an active members forum. It is a very useful resource for the sharing of experiences, advice and other information. Just click Join The Club to find out more about membership. Contact details for the Club's officers, committee chairman and branch secretaries are available in the Contact Us section of this website. 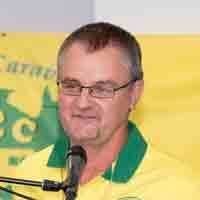 Deputy Chairman - Tom Smith, is a grazier from Inverell. He's been a caravanner since 1991, and has extensive agricultural representative experience. His main goals with the ACC include freedom of choice for camping locations and promoting safety through education. 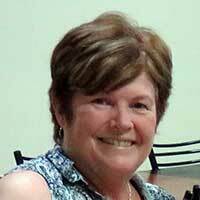 Secretary – Maria Minchin - Maria has been caravanning since 1990 and joined the ACC when it formed in 2006. Her background is in retail and administration which included several years in the RAAF. Maria has been involved in the formation of the six WA Branches and is a past Branch Secretary of the Swan River Rovers and WA State Representative on the Membership Support Committee. 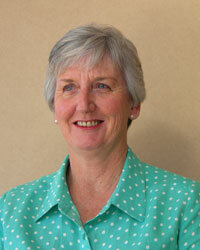 Director - Lynne Friis – Prior to retiring in 2013, Lynne worked as a lawyer in a prominent Brisbane law firm. She holds a Bachelor of Laws (Honours) and a Graduate Diploma of Legal Practice. She has served on management committees of various community groups. Lynne and her husband Ray have extensive caravanning experience spanning 30 years. She resigned her position as founding President of the Eastern Explorers branch to take on her Board position. 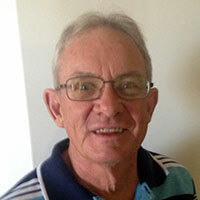 Webmaster - Rob Tudor, Victoria, retired. Rob retired in 2003, bought a caravan and went travelling. 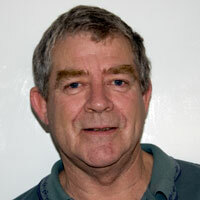 Prior to retirement he worked for over 30 years in the Information Technology industry both in Australia and overseas. He maintains his own web site detailing his travels and is the webmaster for the club. 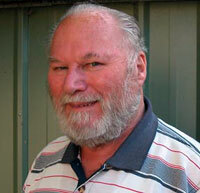 Publicity Officer - Lionel Mussell, Victoria, Author. Lionel has over 40 years and 2 million kilometres experience travelling this great land. 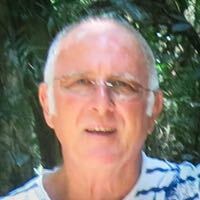 He has written a range of books on travelling Australia, operates his own web site which provides advice to caravanners and tourists who look for answers to their wide range of questions about travel in Australia. 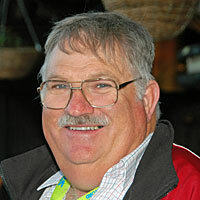 Lionel also writes his monthly "On the Wallaby" column for "Caravan World". Nomad Editor – Alan Lazarus, Victoria. Retired following 35 years in the telecommunications industry both at home and abroad. 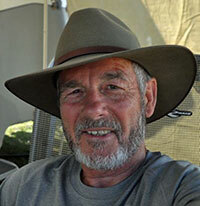 He is an avid caravanner, clocking up thousands of kilometres in the last few years. He has interests in civil aviation, both as an aircraft builder and pilot, and journalism. Lately he is becoming highly regarded as a musician/singer/songwriter, regularly performing at music festivals and events in various parts of the country. He is currently co-editor of the ACC magazine, “The Nomad”.